Most of people seek to have a decent outlook and a slim body, but under skin fat is one of the most important barriers that keeps them from having the body they want. Liposuction aims to remove all the extra adipose from certain body parts, to improve body image and beautifying it and reducing waistline as other body parts. Liposuction is the name of surgery in which accumulated fat is removed with special surgical tools. This procedure can be done by a medical aspirator, laser, and radiofrequency or water flow. Liposuction is not a way to lose weight; instead, it is a method to sculpt the body. In this procedure local fat is extracted with a thin tube and applying negative pressure (suction). These thin tubes are called cannulas. There are some conditions to have a Liposuction among which the patient must be older than 18 years old and not suffering from dangerous diseases. The person who will have abdomen Liposuction must have a natural body weight or weight gain that does not pass 30% of his natural weight, as the belly fat must not respond to any healthy regime or sports, in addition to the necessity of having a good health and not having chronic diseases. It is better not to have this surgery when too old because the skin is inflexible. Also the amount allowed to be removed according to universal standards is 5-7% of body weight, so if its weight is 70Kg then the amount allowed to be removed is 7 L. fat is usually measured with Liters not kilograms, in case a bigger amount was removed the patient may have dangerous complications that can lead to death. Liposuction with aspirator: a medical aspirator (applying negative pressure) which is a traditional way of Liposuction does it. Liposuction using energy: a moving special tube while applying negative pressure to aspirate, which means that mechanical power is used to break fat, breaks fat cells easily. Liposuction using ultrasound waves: fat is broken with ultrasound then aspirated with a medical aspirator. Liposuction with laser: it is a new technique where fat is broken by laser through entering a laser fiber through a little tube (cannula) used in fat aspiration which causes the fat to melt and sucked out with the aspirator. Perfect patients for Liposuction with laser are those with natural weight but have some body parts containing extra fat. Age is not important, but skin flexibility reduces with age, which means reduction of Liposuction ability in this case. After skin lifting with laser Liposuction, healing will be sooner and better. In general this procedure is similar to the one using energy, but instead of using the mechanical tool to break fat, a little laser fiber is entered to the body through cannula. The procedure is usually done under local anesthesia where at first the area is injected with anesthetic products, which help blood vessels contraction, and limiting blood lost quantity during Liposuction. When we finish anesthesia, the doctor make small cuts around the area 3 mm maximum length, because the cannula and laser fiber is too small which allows the laser to target directly and precisely the fat needed to be removed. Laser energy breaks fat and turn it into a liquid absorbable by the body. Any other liquids should be aspirated. The patient will not feel any pain but can feel when aspirating. The maximum limit of this procedure is 3 hours but if the targeted area is bi get is possible to do it during two sessions to allow the body to rest. Liposuction with laser is characterized by not requiring big surgery but only very little cuts. This means that scars will be small or even invisible, so, a bigger protection from infections and inflammations. Liposuction with laser is selective, it targets directly the areas wanted to be removed which means that the doctor shapes the body as wanted to get a more natural outlook. Because of the selectivity of this method, it can be used in sensitive regions such as face, hips, waist, thighs and feet. In other way this technique can be done in a place where thick skin and accumulated local fat. Liposuction with laser is not only good to aspirate fat but also can lift skin to give a more youthful look and get rid of flabbiness. Healing time is shorter so you can go back to your normal life faster. General anesthesia in unnecessary in this technique. Bruises, swellings and pain is less than in other techniques. Fat breaking is bigger in Liposuction with laser than other methods. VASER is a scientific term that means Vibration Amplification of Sound Energy at Resonance. Liposuction with VASER is a plastic surgery that uses ultra sound waves to break fat cells which facilates their aspiration out of the body. Liposuction with VASER is characterized with its ability to target only fat cells without harming any other tissues found in the area like nerves and blood vessels, which makes it a safe choice for Liposuction in important areas. In fact, Liposuction has no relation with body weight, because Liposuction with VASER aims to sculpt the body and show its beauty through removing all fat accumulations in areas like belly, neck, arms, thighs chest and back. - At first we make a little incision for few millimeters to enter a surgery special tube. • Anesthesia of the targeted area. • It contacts blood vessels, which reduces lost blood amount. • It also expands the targeted area temporary so fat tissue is easier to be removed. - Little probes are entered through the cuts, they sound with high frequencies that causes fat cells to shake and break from other tissues. - The mixture of fat free cells and the salt solution is removed with special tubes that help protecting connective tissues. - After the surgery, patients are prescribed special healthy regime during healing period to give the best of results. Doctor may advise physical massage therapy to enhance the results and faster healing. This technique helps softly and effectively removing fat and having beautiful and natural outlook. VASER technique is a special sculptor of body, which gets rid of fat, and lift skin, which helps you, get the shape you want. 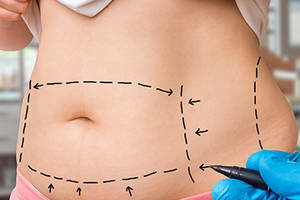 This technique, which is the safest of all other Liposuction methods, is used to break large or small fats with special selectivity, which keeps other healthy tissues. There are thousands of patients who chose VESER technique to break their fat. It only affects little accumulations of fat. It can cause heating damage for important tissues. Liposuction with laser uses heat energy to break fat cells and close blood vessels. This broken fat tissue is removed later with traditional fat aspirator. In traditional Liposuction methods, there is bigger amounts of lost blood than in VASER technique. In fiber tissues as in men and some breast tissues and arms it is hard to get good results using traditional techniques. The surgeon enters a probe to break, push and aspirate fat tissues out of the body. Liposuction with energy can give irregular tips and many tortuous lines because it is hard for the doctor to control the machine. But it is faster. As in traditional methods, energy Liposuction uses tubes and special mechanic movements to break and aspirate fat tissue. At evening after the surgery, the patient can walk at least to the bathroom or to have water or even walk around the house. Next day, the must walk at least half hour a day. But he must be careful about pressure on the treated areas, plus having massage for 6 weeks. 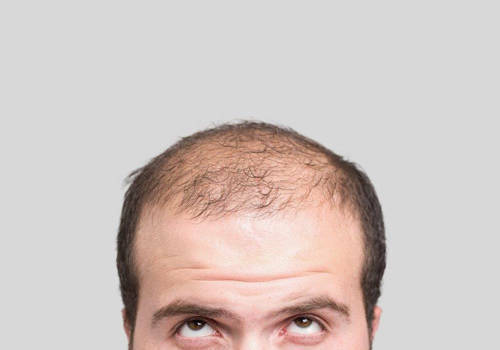 Belly must stay straight as possible to avoid gases accumulation and deforming the last look. Always remember that Liposuctions makes cross-channels in the fat tissue. These channels that collapse during healing process is the thing that gives the last result and shaped form. At the same time when waiting for healing, you can practice with other parts that had not Liposuction like arms and feet. As with all other surgeries, symptoms like pain differ from one patient to another, that’s why a person have to expect, in general, that he may take painkillers for the few first days. Also pain can continue in other different periods. Most bloating and bruises will improve in two weeks. Anyway, some will continue for 6 to 8 weeks. It is hard usually to see the continuous changes on body shape before that time. Patients are advised to wear an elastic belt for 4 to 6 weeks to help lifting the skin; doctors at Clinicana will tell you how long you should wear it. Patients with inflexible skin are advised to have Endermologie (therapy with deep massaging using a machine that transforms skin and edema into a juicy mixture while applying a negative pressure. It can shape irregular tips of silouette) you can go back to natural activities after two weeks. In general, patients can go back to office work after 3 or 5 days, and after 14 days to the more hard activities. Exercises advised after the surgery like walking start at day 14, gradually to lower adhesion between skin and other deep tissues. Walking, swimming or riding bicycle can start few days after the procedure. Daily activities need a while to start, work and exercise and when to start them must be discussed with your doctor after surgery. Primary result may appear after 10 – 14 days, but will continually improve for the next 4 to 6 months. Bloating and disorders can stay for months, and in case antibiotics are prescribed, they must be taken as told from doctors. Eat more complicated carbohydrates (like full grains) than simple carbohydrates (like sugar or anything white). Eat many anti-oxidants like fresh fruits and veggies and berries. Minimum amount of animal fat, and more of olive oil and nuts. Protein at every meal but with little amounts. It is not advised to have this type of food directly after Liposuction. It is found in fast food, fried food, canned food and fatty meat and full fat milk. You also must avoid treated food that contain unhealthy Trans-fat. Instead, adjust your food to be healthy like fruits and veggies and full grains and low fat proteins like zero fat meat, fish to enhance healing and to keep your new look. It is not good to eat salty food during healing process. High levels of sodium enhances inflammation in your body and slows healing. You must limit or stop eating salt during the first two or four months. Instead of salt, try using other herbs and spices like onions, garlic, cinnamon, and dried peas in your meals. You must limit or stop sweets after Liposuction, because it can cause unnecessary weight gain during healing. Most of sweet food contain low amounts of vitamins, minerals and other important nutrients for healing. Alcohol is prohibited for the 24 hours after surgery, including beer and wine. According to your doctor advices, you must limit or stop alcohol intake for a longer period because prescribed medications can interfere negatively with alcoholic drinks. Because fluids are important during healing, drink lot of water and fresh fruit juices and herbal teas. It is important for your healing after Liposuction with VASER to wear your supporting pressing belt. Doctors and nurses will tell you how long you need to wear it (till 4 weeks usually). This belt helps you back to life routine faster, reducing bloating and giving support. Leak can be expected during first 24-48 hours and the filter may have pinky to light orange or even without color. Although the leaking is not likable, it is good for healing because your body will not keep extra fluids that cause swelling. Be ready to put additional covers on your bed to protect it, also you may need to wear dark and loose clothes to feel more comfortable. Drink a lot of water with fresh lemons will help you expel toxins from your body and reduce bloating. Think of healthy food choices that help you maintain a healthy body mass like many fruits and vegetables and proteins. Constipation / bloating is normal in the days following the operation and this condition can worsen due to medications given on the day of the operation. We understand that it may be uncomfortable for you that is why we advise you to have fiber-rich food, bread and brown wheat biscuits, whole wheat or flour, fruits and vegetables, berries like cranberries or raspberries, whole grains like bran. You can take pills that do not need medical prescription but we but recommend that you read the instructions and discuss it with your doctors before doing anything. As recovery much faster than traditional Liposuction methods, you will be keen to back to your gym and exercise routine fast too but you have to follow your doctor’s advice to avoid hard exercises at least for 4 weeks. Although, we support walking, as it is very good for blood circulation that helps reducing bloating and makes you feel better. In most cases, you will see immediate results but you will have some swellings that can grow for some days. The results can be seen after 6 weeks but still you can have some swellings. As long as you follow the instructions given to you before and after the Liposuction along with these helpful instructions, do not worry you will sooner get the shape you like.